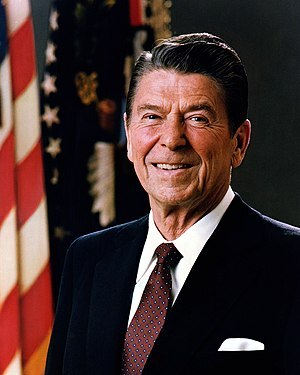 Reagan in 2012? He’d never win. There’s a wonderful blog post on Nomadic Politics entitled “The 11 Reasons Why Ronald Reagan is Un-Electable in 2012.” It puts into stark perspective the pervasive insanity that characterizes Republican politics. I’ve thought often about how out of step Reagan would be with the current state of the Republican Party. Yet, they tip their hats to him all the time, even though he would be seen as a moderate, today . Well, moderate or not, Reagan set the stage for the greatest aggregation of wealth at the top in the world’s history. He also unleashed the culture war, which has driven a wedge between the parties such that compromise is impossible. He did it to consolidate political power, the unintended consequence of which has been complete political dysfunction. The Left never, never contrived to destroy the Right, yet the Right says it wants to destroy, for all time, the “liberal scourge afflicting America.” Really? Well, it’s not the Left’s job to put this distructive and dysfunctional genie back in the bottle; the Republicans took it out, they can put it back. Until they do, they can go to hell. Hey thanks for the plug. By the way, is your twitter account hacked? You sent me a message saying that somebody was saying horrible things about me with a link. While I do NOT doubt that it is true, it sounded like a trick to get me to click on the link. Just checking.